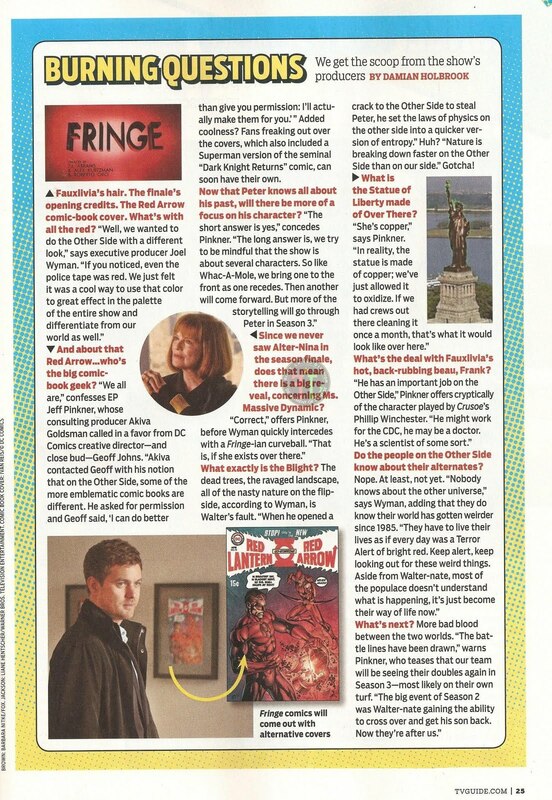 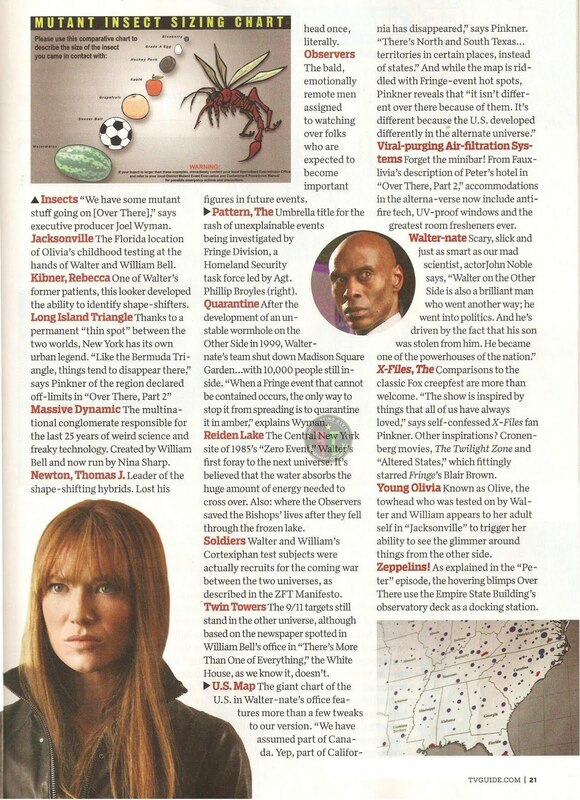 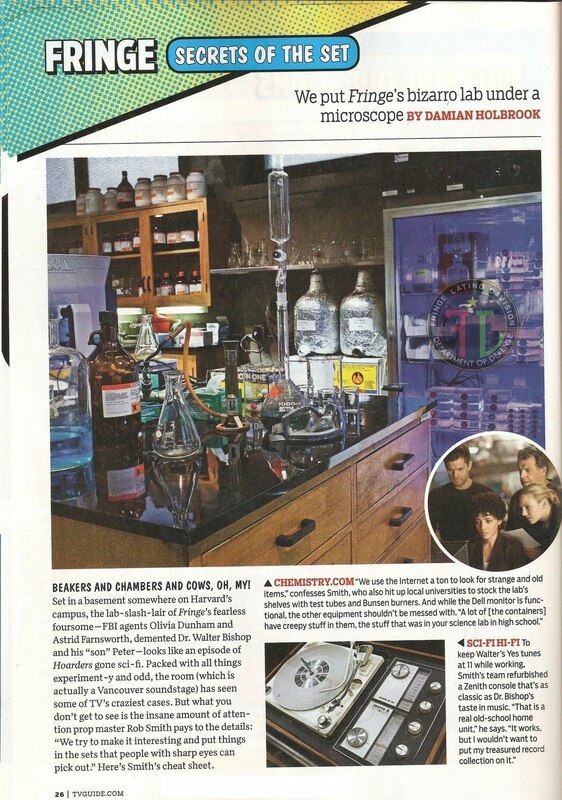 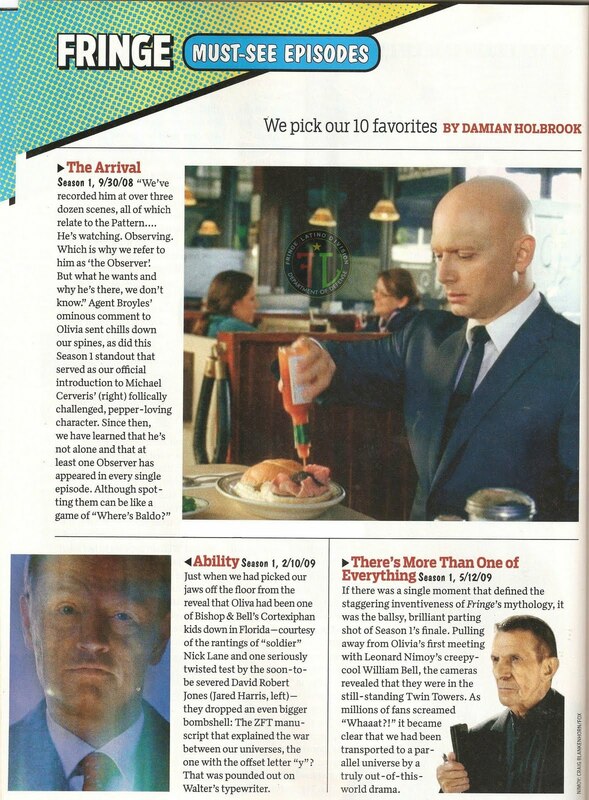 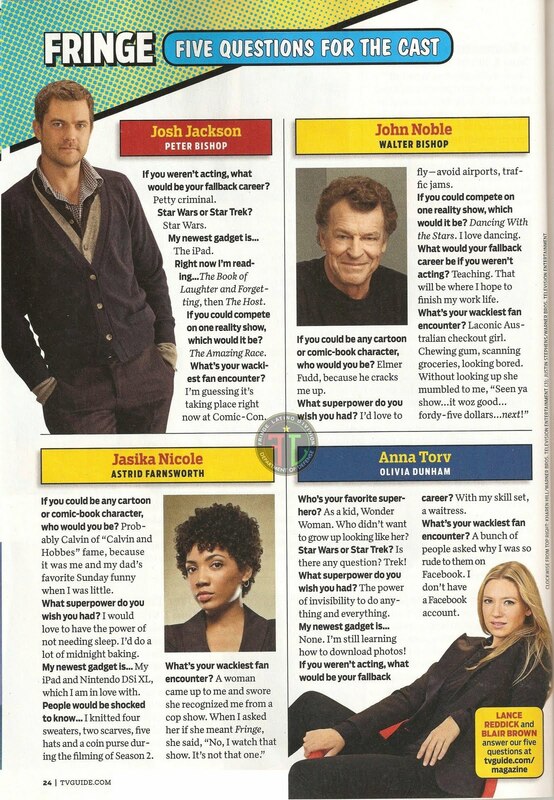 A few weeks ago TVGuide Magazine released a Special issue for Fringe, here are the 8 pages dedicated to the show. 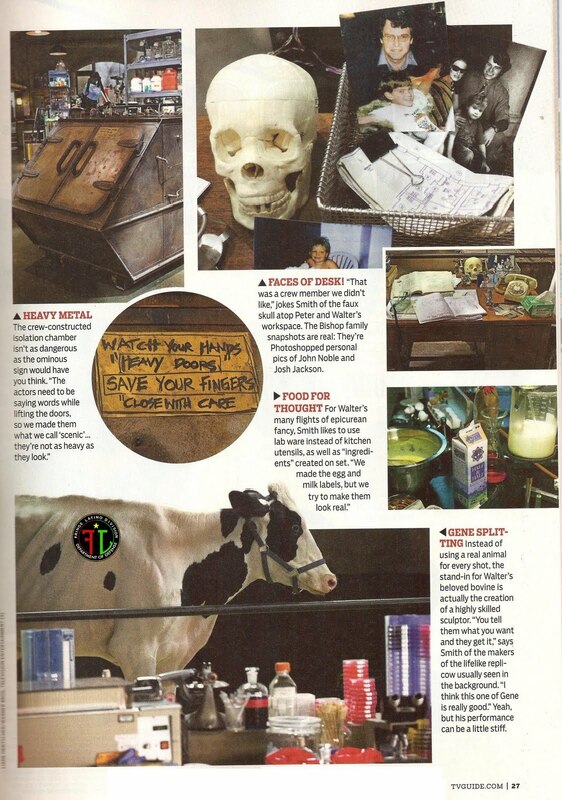 Thank you for posting these, Dennis. 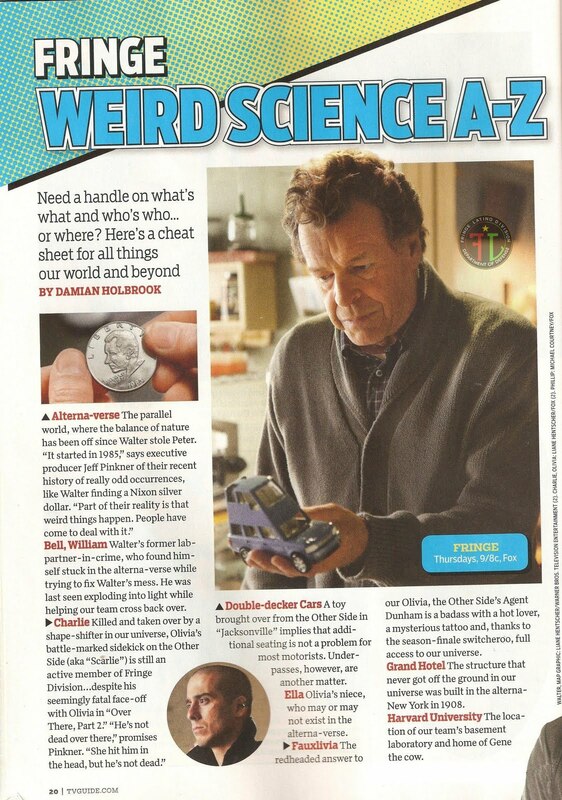 These pages are from the TV Guide Special Comic Con issue from the week of July 26th that came in 4 different covers. 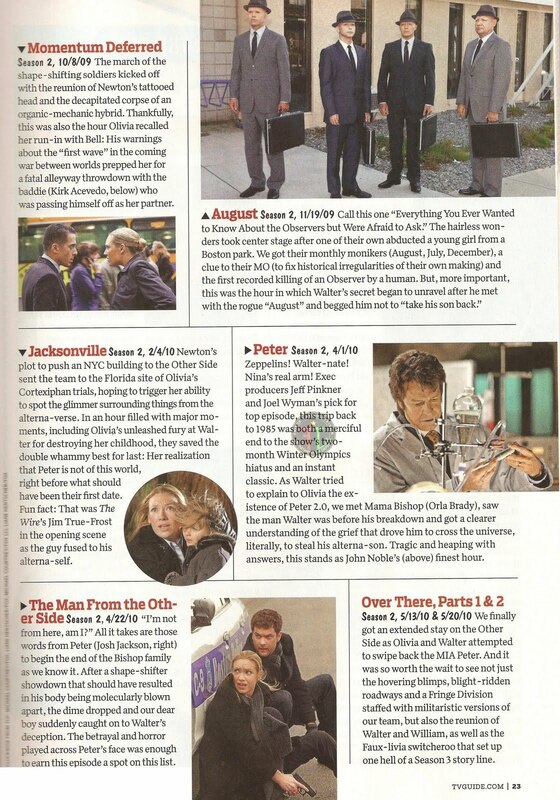 To read my review of these pages see my post dated 07/31/10.